Let's go over how to use a stock screen to find investment ideas to pitch. 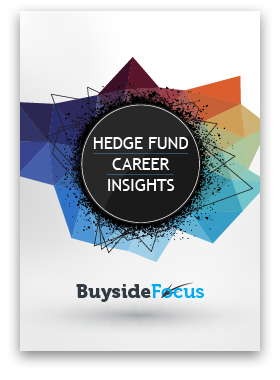 Pitching a stock is the most important part of the interview process for hedge funds and asset management. After you’ve submitted a polished resume and telling your story in your first round interview, you’ve been asked to pitch a stock. Now what? How do you find a great stock pitch idea? Your first instinct might be to go on a research portal like SeekingAlpha and SumZero to get inspirations. The issue is, reading reports is a great way to get other people’s opinions on a stock. But that shouldn’t be your starting point. The stock ideas you find might not fit the fund you’re interviewing with. For example, if you are interviewing for a small-cap value fund that’s specifically looking to add exposure to small regional banks, then it’ll be tough to find good research that fit exactly that mold. More importantly, as soon as you begin reading other people’s views on a stock, your view has already been biased. It’s hard to develop contrarian views if your stock idea is based on other’s research. The interesting thing is, hedge fund analysts face the same challenge every day. Sourcing new investment ideas is the lifeblood of the business. It’s your responsibility to get new ideas into the portfolio as an investment analyst. So if you don’t know where to start looking for stock pitch ideas, don’t worry. You are not alone. Today, we’ll go over how investment professionals source investment ideas, and how you can use the same process. Let’s start with the last two. Investment analysts often cover a specific industry such as consumer or healthcare, and we frequently meet with CEOs and CFOs in these industries to discuss their businesses. We also read industry reports to get updates on the latest industry trends and competitive dynamics. We talk to industry veterans to do channel checks – get insights into a company’s customers, suppliers, and competitors. We also attend investment conferences about once a quarter, where we meet with company management and develop industry relationships. We also share our investment views among the analyst community. So a large part of the job comes down to building industry knowledge and relationships to develop investment insights. Investment analysts at hedge funds and mutual funds have a lot of resources at their disposal to do this. This is our investing edge. Yet, building stock screens still remain an essential source of finding stock pitch ideas. Building a stock screen is a methodical way to funnel down the universe of stocks down to a shortlist of potential investments. In the US for example, the NYSE and NASDAQ combined have over 5,000 companies. Typically, a concentrated hedge fund portfolio has about 10 to 40 stocks, and a more diversified mutual fund portfolio typically has 40 to 80 names. The job of the stock screen is to funnel the universe down to a shortlist of stocks that fit your investment style. This is how you can general stock pitch ideas. Because of the methodical approach, screening for stocks is a repeatable process. You build screens based on the metrics important to your investment style. You would refine this process over time to improve your approach. Second, you can build a stock screen to focus on the exact set of stocks you are looking for. Your screen results are tailor fit to your portfolio. For example, if your portfolio needs more exposure to mid-cap consumer retail stocks with decent company growth and pay a reasonable dividend, a stock screen can find that exact set of stocks for you. And lastly, which I think is the most important reason to use a stock screen, is that it takes out your cognitive biases out of the equation. When you read someone else’s opinion about a stock, you are already being influenced by that person’s view. You’d carry your biases going into the research, which is difficult to develop contrarian views. Using a screen is the most objective way to start researching stocks. What do investment professionals use to screen for stock ideas? The investment industry uses mainly 3 services: Bloomberg, CapitalIQ, and FactSet. Bloomberg is the most common service but also costs the most. A Bloomberg terminal costs $20,000 a year, while CapitalIQ and FactSet cost about $5,000 per person per year. If you don’t have access to those, there are many free screeners that have 80% of the functions as the paid services. The common ones are CNBC, Yahoo! Finance, and Fidelity. But the best free screener to use is FinViz. It’s the fastest free screener with the most comprehensive feature set. Now, let’s say that we want to pick a small or mid cap stock to pitch, because they are not household names and could have higher upside. But it needs to have enough liquidity so we can exit your position in a timely manner. We are also pitching to a value-oriented fund, and we only want stocks that are reasonably valued. Our next step is to do deeper fundamental research on Lennar and PulteGroup. We would compare their business model, key drivers, competitive positioning, and growth trajectory. We would also build DCF models to produce an intrinsic price target. These are the next steps of putting together a stock pitch. Every fund has a stock screen process they’ve built and refined over time. But the tutorial we just went through is in essence how investment analysts find stock ideas using a screen. Good luck, and leave any questions below!